To monitor aquifers in the province, the Groundwater Observation Well Network outfits wells with sensors and records the groundwater level. The results are displayed in the Groundwater Observation Well Network. There are over 250 observation wells throughout the province, with 40 sites transmitting their data in real-time. 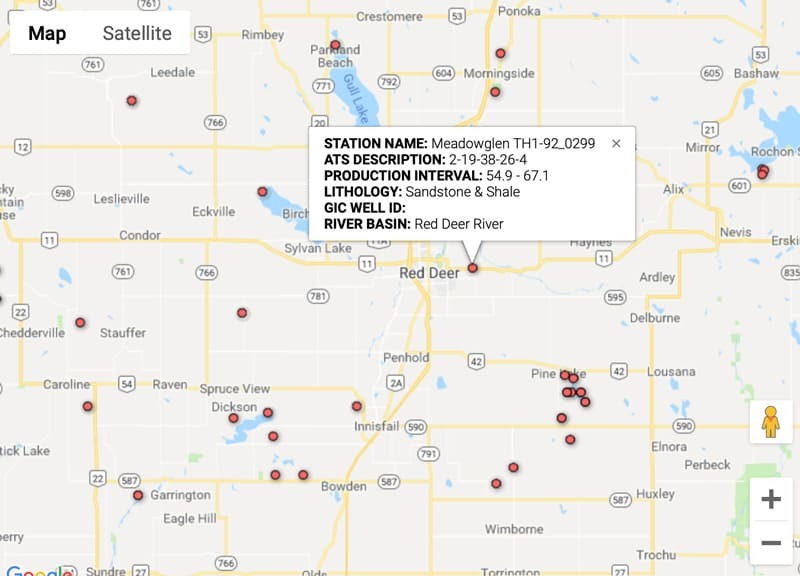 The interactive map displays the graphs and data from wells throughout the province, including the water quality and the depth of the wells and water. In addition to real-time data for some wells, the historic data is also included.